PLEASE CONTACT GRAHAM BROOKER ON 0400 301 981 AND LET HIM KNOW YOU FOUND HIS EQUIPMENT VIA TOOLMATES HIRE. HE'LL ALSO TALK THROUGH AVAILABILITY, INSURANCES, COSTS ETC. Get all the Standout Cormidi Features with the C10.80 Tracked Dumper. This large capacity tracked barrow will do all you ever need to with the range of different specifications available. Maybe you just need to utilise the huge 800kg capacity - or perhaps you need to get that material up/over or into something - it's all available with the C10.80. Hydraulic transmission - no belts! 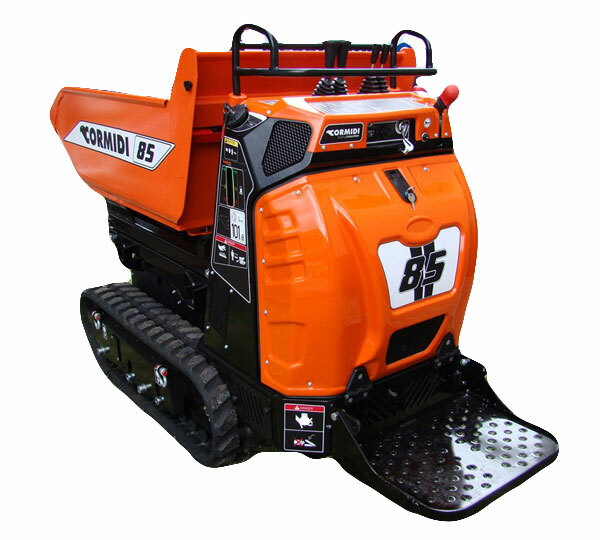 Self loading models make for even easier material handling, ideal for landscaping and track work.